everything was wrong. Bad location, no restaurant, not even a coffee machine! one of the worse stays I've had in a long time. Extremely overpriced. I really enjoyed staying at the hotel. Rooms are large, very nice and comfortable. 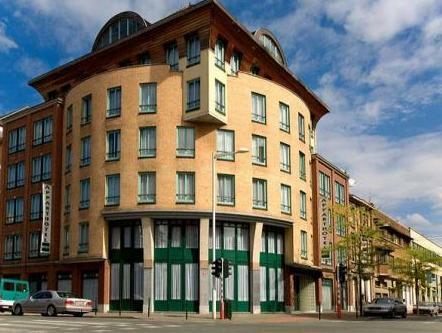 The hotel near the Brussels Midi station, just few mins walk. We have upgraded to Apartment room on the first day, and the room is very nice with a good view. You can find the basic equipment with a microwave in kitchen, so that we can cook the dinner by ourselves. The staff is very nice and friendly. If we have a chance to Brussels again, we will definitely choose this hotel. Everything is ok. But the reception working hours is too short. After 20:00 - 7:30 is no staff. Great serviced apartment! Nice and clean. The apartment is very large. 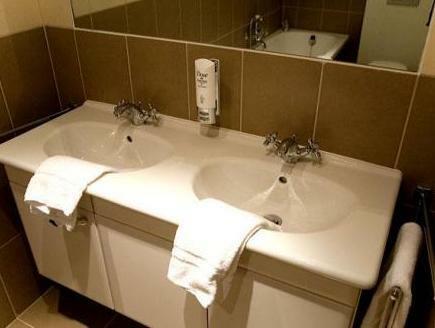 Located conviniently - 7mins walk to Brussels Midi station. Recommend this apartment to anyone. Ok. Nothing special. TV Channels were all in foreign languages. WIFI speed is quite fast. Walk to MIDI Train Station and Metro is about 2 KM from the hotel and it was quite convenient. There is a Carrefour at Midi Station and many cafes for you to buy snack and fresh fruits. However, the cleaning service is upon request only. It does not come daily to change towel or throw rubbish. We have to dispose rubbish ourselves. Not having known where exactly Brussels Midi was, I was a little disappointed to find that there was nothing much in the area. There were a few restaurants nearby but due to our having arrived rather late from London, most things were closed. The area surrounding Brussels Midi station is not the most picturesque, but highly functional as the Brussels Central station is only minutes away by train. In saying this, the hotel can be a little distant from the station (depending, of course, on whether you take the optimal exit from the station). The room itself was quite large, however a bit more dimly lit than I would prefer. Staff were very helpful when needed... this location does not, however, have air conditioning so do take that into account if visiting during the summer! Large rooms (apartment actually). The stay and the rooms are alright except for two things: 1. the hotel is very far from the city centre and attractions, it is very dark and dangerous walking back to the hotel at night. 2. The wifi was not working in our room. Otherwise it was a pleasant stay. near Gare du Midi station. The room was ok, big enough for two to move around comfortably, sad to say the aircon in our room is not working. though the reception is doing all efforts to help us out, but to no avail. they speak good english, french. Next to train station at night time not too comfortable walking area, however for connecting bus service to south airport a decent deal considering that mon-fri rates in Brussels on average are 2 times higher than those of weekends.